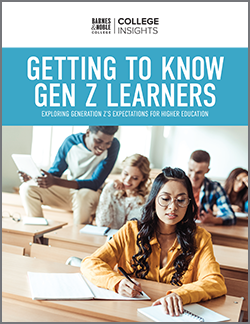 How are colleges and universities prepared to educate Generation Z (Gen Z) as they become the dominant demographic on campus? Understanding how they like to learn will be an important part of that preparation. Referred to as the “Sharing Generation,” the demographic that’s “All Technology All the Time,” and “Born Digital,” Gen Z could not be more different than previous generations. A recent Barnes & Noble College study found that whether working together or independently, 51 percent of teens prefer to learn by doing, while more than half of respondents said they learn best by being hands-on. The results of the study also showed that Gen Z has strong opinions and preferences for how they learn and what they expect from their educational experiences. These insights present colleges and universities with significant awareness and opportunities to attract and influence the way the next generation will connect to their college experience. 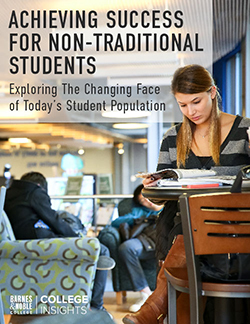 What other key differentiators can colleges and universities expect from incoming students? Click here to learn more.